I often like hero wods the best; Lumberjack 20 being one of my favorite. I appreciate the long, knuckle down and get through it, attack that is necessary to get it done. Most importantly I think that it humbling to be reminded that there are bigger struggles out there that some have paid the ultimate sacrifice for and I have nothing to complain about during my times of weakness in a wod. My least favorite wod would have to be “Fran.” It is short but it really messes me up after the work is done. For some reason when my forearms cramp up I get pretty nauseous and Fran will get me every time. 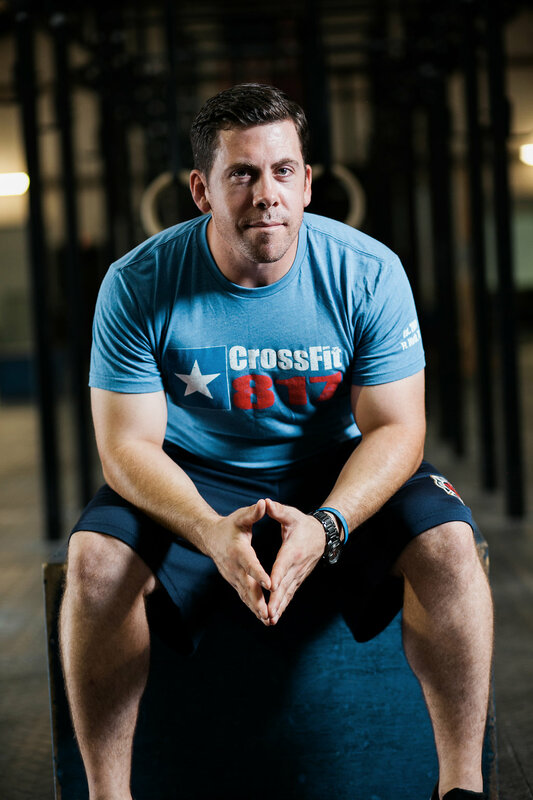 I started crossfit in 2009 after coming home from a deployment. I had first learned about it in 2008 and thought that it must be a cult. My first wod was “Murph” and when I saw how bad I did compared to everyone else. I decided to give it a try and never left the community. Started coaching in 2010 and was lucky to be at one of the early day gyms. I had a lot of interaction with some of the big names in the crossfit world. I was able to learn so much about what true health and fitness is from all of those professionals. Crossfit to me is the best place for a great community of like minded people that support each other and encourage one another to be better in every aspect of health. I hate to think of going back to the solitary life style of the globo-gym and not having such a supportive community. Without a doubt my favorite wod music has got to be that girly pop on the today’s hit music stations. Seriously, it’s kind of a guilty pleasure. I try to watch good TV, read good literature, but I listen to some ridiculous music.